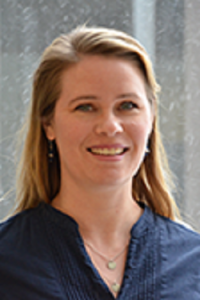 Anna Kratz, PhD, is Assistant Professor of Physical Medicine and Rehabilitation and the Center for Clinical Outcomes Development and Application (CODA) at the University of Michigan, Ann Arbor. Dr. Kratz’s clinical research is focused on the characteristics and mechanisms of common symptoms (e.g. pain, fatigue, cognitive dysfunction) and functional outcomes in those with chronic clinical conditions. Using a combination of ambulatory measurement methods of physical activity (actigraphy), heart rate variability, galvanic skin response, and self-reported experiences, her research aims to overlay the patient’s day-to-day experience with physiological markers of stress, sleep quality, and physical activity. She utilizes a number of computational approaches, including multilevel statistical modeling, signal processing, and machine learning to analyze these data. The ultimate goal is to use insights from these data to design better clinical interventions to help patients better manage symptoms and optimize functioning and quality of life.